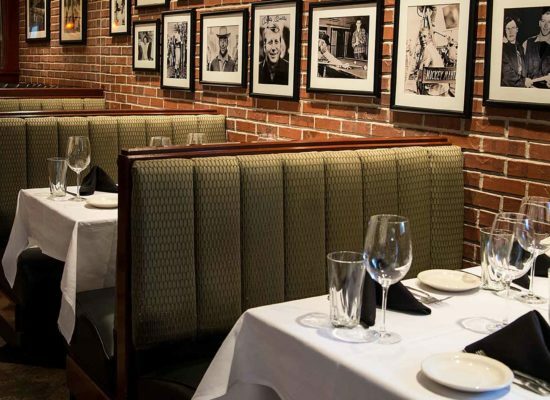 Mickey Mantle’s features one of the best wine lists in the country. 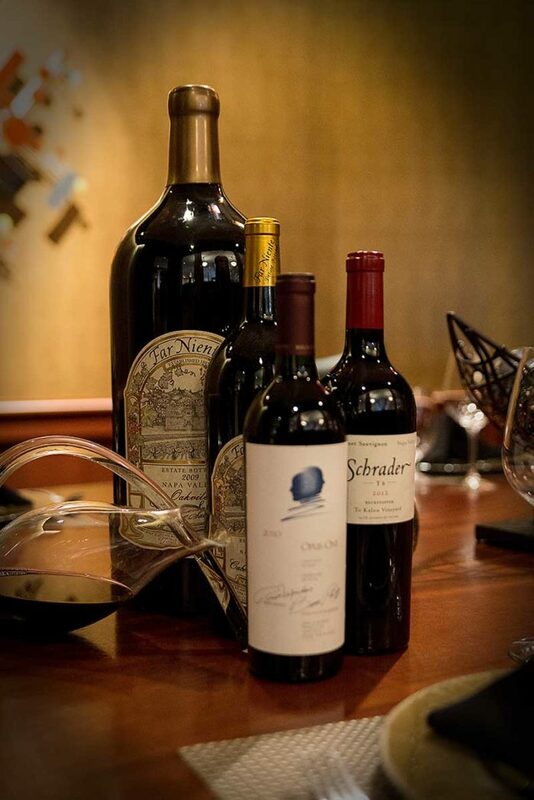 Raise your glass to world-class wines expertly paired with any course. 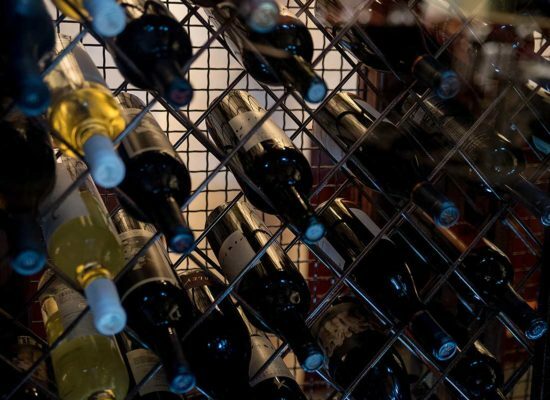 The award-winning wine collection at Mickey Mantle’s Steakhouse features nearly 500 labels, both domestic and international. Every bottle has been thoughtfully hand-selected by our wine director with a focus on California vineyards. Our wine list has consistently received The Wine Spectator’s ‘Award of Excellence,’ an award that honors restaurants offering a well-chosen selection by quality producers, along with a thematic match to the menu in both price and style. 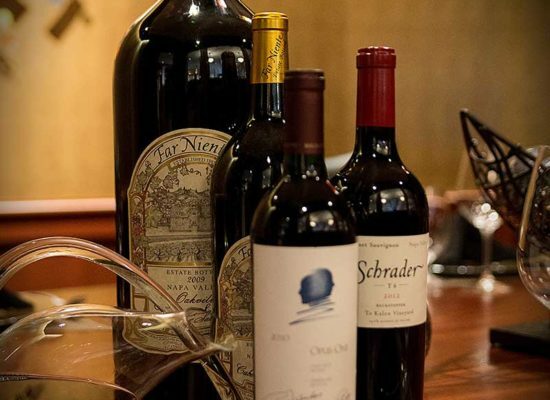 Mickey Mantle’s Steakhouse showcases some of the best wineries each year by hosting an annual charity dinner with proceeds going to Life Share of Oklahoma. Previously featured wineries included Sterling, Silver Oak, Twomey, Duckhorn, and King’s Estate. Wine is a main event at Mickey Mantle’s. We are dedicated to the wine education of our staff in order to elevate our guests’ dining experience. Every server is a knowledgeable resource to our guests, whether you are a connoisseur or simply enjoy a full-bodied red with dinner. Mickey Mantle’s also offers a vast variety of premium spirits & brews. Whether it’s a classic cocktail, local brew, or hand-crafted concoction from one of our expert bartenders, Mickey Mantle’s Steakhouse promises the finest beer & cocktail menu with something suited for everyone’s palate. We continuously seek out limited and hard-to-find spirits that can be found at Mickey Mantle’s Steakhouse like our Crown Single Barrel Distillers Selection, Glenmorangie Pride, Hennessey Richard, & Woodford Reserve Private Selection. 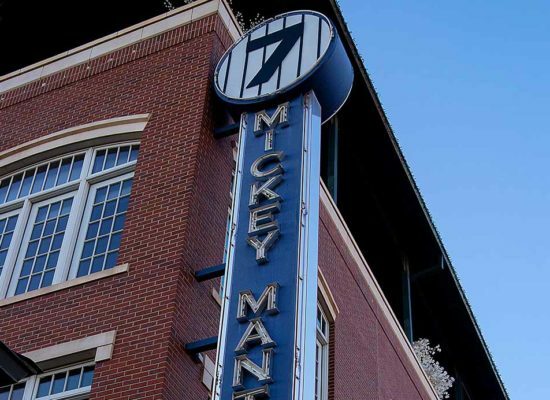 Join Mickey Mantle’s Steakhouse for one of the best happy hours in OKC! Offering $2 Domestic Longnecks, $6 Sommelier Wine Selections, Half-Price Appetizers & Martinis, & Complimentary Bar Bites every Sunday-Friday from 430-7pm.